Super cute Puppy Lovie. 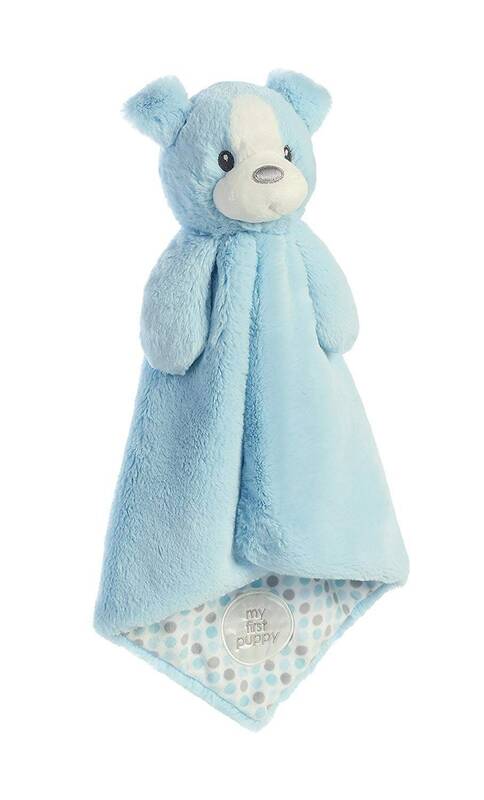 This exquisite baby security blanket measures 16 tall". A perfectly sized tag along friend to share everyday adventures with. Soft snuggles too! Features "My First Puppy" embroidery and baby's FIRST name. Makes a great baby shower gift!